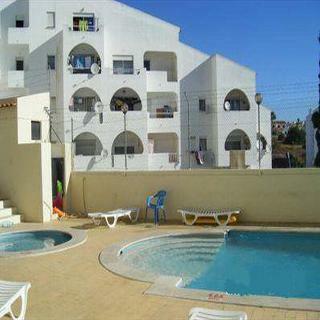 Cheerfulway Acqua Maris Balaia is located 5m walk to Oura Beach, in a tranquil part of Albufeira. Its also within walking distance from major coffe shops, restaurants and main activities. It is 850 meters from Maria Luísa Beach and a 5-minute drive.. 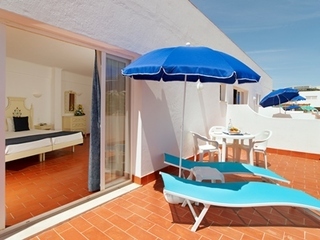 The apartment complex, inspired by traditional Algarve architecture, is located in Cerro de Piedade, overlooking Albufeira. Guests will reach links to the public transport network in about 150 m and the town and tourist centre with bars and restaurants..
Privileged location right in the centre of old town Albufeira, with Pescadores beach only a few steps away.Breakfast is available at this property.This is a traditional building.This accommodation has a small lobby.This small hotel was born from a mansion.. The fully air-conditioned hotel comprises a total of 73 rooms spread over 9 floors. Guests are welcomed in the lobby at the reception which is manned around the clock. A currency exchange facility is also to be found here, as is lift access. Dining options..
With a fabulous location in the heart of the touristic area of Montechoro, where you can find a diversified offer of restaurants, bars and handicraft shops and just a few minutes from the famous beaches of Albufeira and the best nightlife of the Algarve,..